Call us at 1-877-321-8282Monday - Friday, 8AM - 6PM EST. Or chat us, if you&apos;re shy. When you call our customer care team, you&apos;re calling Crown of Flowers certified skincare experts in Vermont. No call centers here. We recommend storing our products in a cool, dark space. What are the products shelf life? Shopping from our site ensures that our skincare and cosmetic products are delivered fresh from the farm. We recommend using our products within 6 months after opening. If you find that your product has an unusual smell or if you see discoloration, do not be alarmed; our customer care team is here to assist you. The majority of our products are vegan with the exception of those containing honey, beeswax, and carmine. We certify our products with the American Vegetarian Association, so if you see a "Certified Vegan" logo, the product is vegan. If you see the "Certified Vegetarian" logo, the product contains honey, beeswax, and/or carmine. All of our products are made with non-toxic, non-artificial, fresh and 100% natural ingredients on our farm in Vermont. Every person and every pregnancy is different, so we recommend discussing products with your physician. We can share that Tata used all of her products throughout all three of her pregnancies. What is the pH of the products? On average our 30 ml and 50 ml products last 30 to 40 days with daily use, and our 125 ml products last 60 days with daily use. Our travel-size 10 ml and 15 ml products last 10 to 14 days with daily use. Of course, this depends on the product dosage used daily. 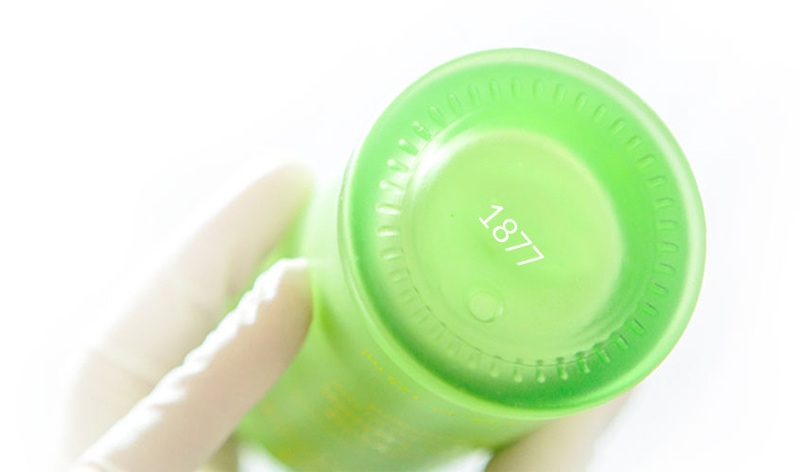 All of our products have a PAO (Period-After-Opening) symbol located on its respective carton which can be referenced for specific shelf lives after first use. Our preservatives are plant derived and ferments of bacteria. We do not currently carry any products with SPF, though we hope to in the future! We strive to use 100% organic materials and ingredients whenever possible. So, while all of our products are 100% natural, we cannot say that they are certified 100% organic because not every natural ingredient can be certified organic, for example, fermentations, biotechnology, and other powerful natural ingredients. We do only purchase ingredients from suppliers that use environmentally friendly practices. Leaping Bunny Association: We do not believe in supporting the inhumane treatment of animals in cosmetic and personal care product testing. Our products are cruelty-free every step of the way. EcoCert Certification: As an EcoCert licensed company, our individual product formulas have been reviewed and certified as natural cosmetics. EcoCert is globally recognized sustainable development accreditation body. Their certification evaluates the sustainability of the entire production chain, from imports to packaging to distribution, which means that we&apos;re green from beginning to end. American Vegetarian Association: Our products are certified 100% Vegetarian. Peta Caring Consumer: PETA has verified that neither us nor our ingredient suppliers conduct, commission, or pay for any testing on animals for ingredients, formulations or finished products. Do you really formulate & batch all of your products on a farm in Vermont? Yes, we manufacture everything in small batches here on our Vermont farm. We do this so that our products are as fresh as possible when they get to your doorstep, and so we can ensure quality and purity at every step. Most skincare companies outsource the manufacturing of their products to cut costs but we love producing them ourselves, and believe that the process is part of the pleasure of creation. The farm is not open to the public at this time, but possibly in the future! Do you grow all of your ingredients on the farm? No, not all of them. We grow numerous herbs and flowers on the farm, these make up our Estate Grown Beauty Complex. However, there are a lot of amazing ingredients that we can’t grow here in Vermont. We source high-quality ingredients from across the globe to ensure that we’re providing you with the best products possible. How do I get my order delivered on time? We are also offering extended hassle free returns on all Holiday purchases placed after November 1st until January 31st, 2019. Please visit our Returns section for details on how to return a product. Unfortunately, we do not process exchanges. I purchased your products at an authorized retailer, can I return them to you? Please email us at [email protected] for assistance with your return. Proof of purchase required. We offer free shipping in the U.S. and Puerto Rico on all orders over $50. What if I live in a U.S. territory? Free shipping is available to all U.S. territories (excluding Puerto Rico) on orders over $100. Do you offer a replenishment service? We have decided to make some exciting changes to our existing subscription program that will re-launch in January 2019. Until then, we are not offering product subscriptions. We ship to P.O. boxes in the U.S. using USPS Priority, however, we&apos;re unable to ship to international P.O. boxes. For all openings and general career inquiries please visit our career page. Click here. Do you have a professional program? We do not currently offer a professional program however we are hoping to build and develop one in the future. We can connect professional makeup artists and estheticians with our PR team for sampling opportunities. Yes! If you&apos;re interested in joining please send an email to [email protected] Please include your social handles and site URL in your email request. We will contact you once we have reviewed and approved your site. Do you (or a third party) test your ingredients or finished products on animals at any point? No, we do not test any of our finished products, ingredients, or formulas on animals. We ensure our products are cruelty-free every step of the way. No, we are a privately-held, family owned company. Are you currently marketed in China? If not, do you plan to do so in the future? No, we are not marketed in China, nor any other country where animal testing is required. We would never compromise our values to enter another market. Please enjoy 3 complimentary samples with each shipment. Multiple orders placed to the same address within 24 hours will ship together. We will happily send up to 5 one-time use samples for a $5 flat shipping rate anywhere in the Continental US. Please note, we do not mail free samples internationally. Orders for these samples can be placed via phone at 1.877.321.8282, Monday – Friday, 8 a.m. - 6 p.m. EST or by email through [email protected]. These samples will give you an initial idea of scent, feel, and skin compatibility. 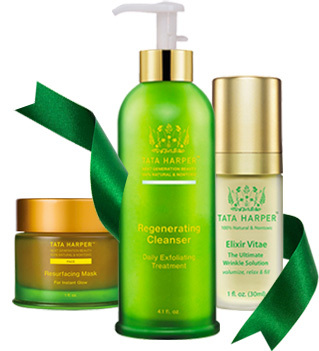 Wondering which Tata Harper products would be best for you and your skin? Schedule an exclusive complimentary consultation with one of our skincare experts! Our Skincare Experts are dedicated to finding you the perfect specialized skincare regimen to make your skin glow. 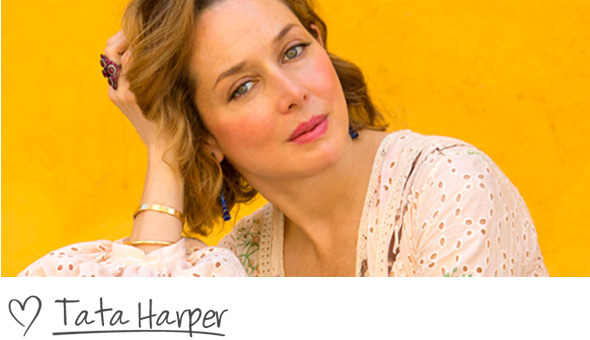 Discover the products that will make you want to show off your radiant skin with confidence! After the consultation is over, choose 3 free samples and get started on your journey to a non-toxic, all natural skincare regimen. Gift cards/e-gift cards will be refunded as first method of payment on all refunds where the order involved use of gift card or e-gift card. Paypal is an alternate method for purchasing your order on tataharperskincare.com. It enables any individual with an email address to securely send payments online. With a Paypal account, you can choose to pay with your credit card, debit card, bank account, or Paypal account balance for any purchase you make. Your credit card and bank numbers are never seen by us, plus, you&apos;re 100% protected against unauthorized payments sent from your account. Paypal customer service representatives are available to assist you at 1.888.221.1161. When you call our customer care team, you&apos;re calling Crown of Flowers certified skincare experts in Vermont. No call centers here.